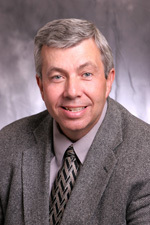 Northwestern Engineering Assistant Dean Bruce Lindvall will receive the Penny Warren Honorary Service Award from Northwestern’s Black Graduate Student Association for his efforts in increasing diversity and improving academic life for students of color at Northwestern. The award is named after Penny Warren, assistant dean of student life and multicultural affairs at Northwestern and BGSA’s long-term adviser. Lindvall, who is the assistant dean for graduate studies, has long been committed to recruiting a diverse population of graduate students to the school. Over the past nine years he has worked to increase the number of underrepresented minority PhD students by 80 percent. He also serves on the executive committee of the National GEM consortium, a network of universities and institutions that enables students from underrepresented communities to pursue graduate education in applied science and engineering. He has a BS in mathematics, an MS in guidance and counseling, and a PhD in educational administration, all from Purdue University.